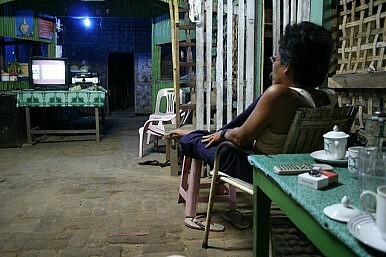 Some parts of the media refused to cover Burma’s election. Did they let the Burmese people down with their decision? Weddings and funerals, it’s often said, bring out the best and worst in people. The same can also be said for the Burmese elections. The first poll in two decades has tested many, inside Burma and out. And among those coming up short were the scribes and publications that refused to cover the vote because it was seen as a rigged and forgone conclusion. It was only a handful—and they shall remain nameless—but their decision was reminiscent of the band of merry journalists at Reporters Sans Frontieres who tried (and failed miserably) to initiate a media boycott of the 2008 Beijing Olympic Games because of China’s human rights record. Yes, we know the elections were rigged, voters were intimidated, the military junta had reserved 25 percent of seats in Parliament for itself and if the results don’t suit, then the generals will do what they’ve always done—cancel the poll and hold another in 20 years time. World leaders were also quick to label the poll as neither free nor fair as ethnic clashes broke out along the Thai border and pro-democracy leader Aung San Suu Kyi remained under house arrest, where she’s mostly been since her party, the National League for Democracy, won the last election in 1990. Her party declined to contest the latest poll. But at the heart of any election, including this one, are the people. In Burma, their total distrust of the electoral process, disgust with the junta and fears of living under their dictatorship were covered widely by the journalists who rightly believe their story is worthy. My favourite yarn was that of the Mandalay-based comedy team the Moustache Brothers—U Par Par Lay, U Lu Zaw and Lu Maw—who continued to risk their necks by performing and satirizing life in Burma with the junta as masters. They’ve already done time behind bars for telling jokes, and their take on this election as ‘old wine in a new bottle’ played well with their audience. As for the journalists who declined to cover the election, the junta didn’t notice that much. Who they did notice, though, were the likes of Voice of America, Radio Free Asia and the BBC, who they claimed were running stories telling Burmese not to vote. That said, the junta really doesn’t like any of us. I can vouch for that. Years ago, I was covering an ASEAN foreign ministers conference. At the end of one meeting I found myself alone and being introduced to all ten through a personal friend and contact.Each minister shook my hand until the last one approached me. It was U Win Aung, a minister with a reputation for being media savvy and by Burmese standards a moderate. I put out my hand, and was introduced. His hand came out and he was told I was a journalist. That was it. With the look of a man who just realized he was about to unwittingly touch a leper, red-faced and with pursed lips, he withdrew his hand. Win Aung was rude, his actions made no sense and he couldn’t help himself—a bit like his government and their elections.